GR8. BSSST PAYE I HV EVR GT2EAT. Except My Home. written by Major Azam on March 7, 2019, 7:10 p.m. Taste less Food, just name other wise nothing, waist of money. written by Muhammad Farhan on July 25, 2018, 8:46 p.m.
written by Riaz Shah on Jan. 6, 2018, 3:39 a.m.
written by Iftikhar Alam Khan on Jan. 5, 2018, 4:04 p.m.
We Lahoris are extremely blessed to live in a city that has everything! From great architecture to great food where you will witness the best of the best. Today we bring to you one such treasure and that is…wait for it…Phajjay ke Paye! Although no introduction is needed but Phajja AKA Mr. Fazl e Haq is the great man behind this oh-so-famous dish that is paye. This restaurant has been around for almost sixty-five years and its popularity has only been going up. The first shop opened up in the red light district at the taxali gate in Lahore. Every morning, a great number of people go all the way to that part of Lahore and wait in long lines just to get their hands on authentic paye and other similar delicacies. 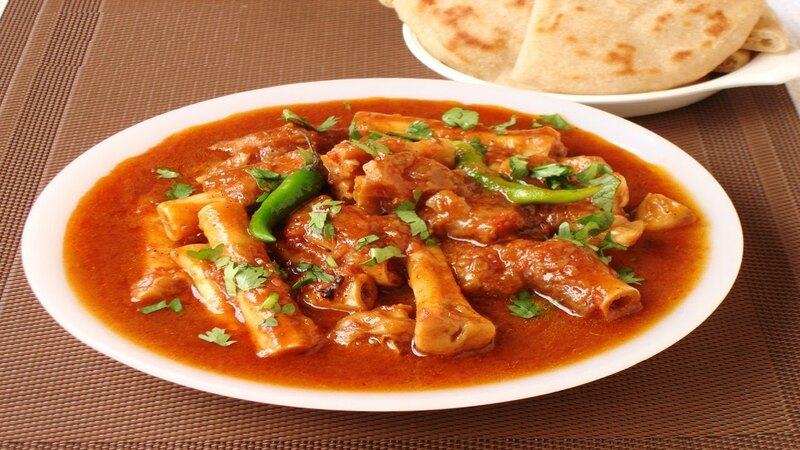 These are not just enjoyed for lunch or dinner, but a large number of people love to have paye for breakfast. Consider this the desi version of a fine dining experience without which a trip to Lahore would be incomplete. The paye are prepared with a special recipe that has been passed down from generations in Mr. Fazl e Haqs family. The beautiful and aromatic gravy has the perfect blend of spices, even suitable for those who have a low tolerance level for spicy food. Their wonderfully smooth textured gelatinous gravy is enjoyed with a hot tandoori naan or roti. You can feel the lusciously fluid gravy creating a symphony of flavors as every spice marries together to create utter gastronomic bliss on your palette. Other than paye, khad (jawbone), zuban (tongue), and maghaz (brain) are also available on the menu. You can order a raita and salad alongside these dishes to double the maza. The crazy part is that everything at phajjay ke paye is available at really low prices. If you live somewhere in Johar Town, Garden Town, or even DHA, the idea of going all the way to the red light district of Lahore seems quite overwhelming. Who’s going to drive through all the cray cray Lahori traffic? Who’s going to wait in long queues and waste so much time? Who’s going to wake up super early on the weekends just to eat paye? We know, we know. The struggle is real. Because let’s face it, who’s got the time in this super busy life. If something is not convenient, we tend to skip it. This is the era of shortcuts and ease. But that is what we are here for. For the first time, phajjay ke paye can be delivered right at your doorstep. We’re not joking. Cheetay will go through all the trouble just so you can be part of the great Lahori tradition of eating phajjay ke paye. For that you will only have to visit Cheetay’s website or download its app, and then prepare yourself for some delicious payes.